Extra supersets - Got it! More abs exercises - Absolutely! Shorter Interval workouts - You better believe it! After listening to TT users' recommendations, I entered the Turbulence Training Lab with one goal in mind….to produce a program that went above and beyond what anyone could have wanted or even expected. And I am convinced that with TT Buff and Hot you will not be disappointed. In fact, this program could quite possible become an instant classic among TT users! This program includes my vintage upper-body, lower-body split routines, along with extra total body ab exercises, more resistance training for muscle sculpting, and shorter, but harder interval training workouts, making for a unique TWIST on the Turbulence Training program. And if that isn't enough to get your heart racing, you'll also do one workout that includes timed bodyweight interval training. Whew-wee, are you ready? Many people know that it's important to play around with different exercises every 4 weeks or so in order to avoid gains that have flattened out. But, what many people fail to realize is that it's just as important to switch up the WAY in which you workout. That's precisely the reason I included a timed bodyweight interval training workout. By putting your body through a timed circuit where each week you attempt to finish it in a faster time than your previous mark, it will enable you to overcome both the strength gains plateau AND the mental plateau. It's this type of performance training, according to Alwyn Cosgrove, one of the most in-demand coaches, speakers, and writers in the fitness industry today, that will unknowingly lead to an improved physique. With Buff and Hot in your arsenal, I GUARANTEE that your friends will think you're on the latest fat burner! But your friends won't be the only ones to take notice of your dramatic transformation, everyone will, including YOU! Skeptic Falls In Love With TT Buff Dudes and Hot Chicks! "I would like to thank you for creating this workout! It was the first workout I got from your website and WOW, I was so impressed that since then I got several more. The TT Buff-Dudes and Hot Chicks Fat Loss Workout's title is synonymous with the results. I recently got married and trained really hard for 4 months prior to the wedding as I wanted to look fit and fab but two months after the wedding I had lost all motivation and regressed into my old ways of swapping exercise for the TV remote, THEN I found you on facebook and started reading up about your workouts, watched your clips on youtube and finally got the TT Buff-Dudes and Hot Chicks workout. I must admit that I was a little bit sceptical at first as I am with all fitness websites and workouts but that scepticism quickly disappeared by week two. I got my motivation back and my passion for fitness has grown with each day - I no longer push my gym bag further under the bed but instead I pack it and get it ready for the next day the minute I get home and seeing my toned and fit body as a result is a big confidence booster. The best thing about this workout is that you don't need a fancy or expensive gym and your facebook page and website is a reality check for the days when I think I am too busy to workout. I completed 4 weeks on this workout and am now on week 2 of my second workout from your website. I am so excited about your programs and introduced two friends to them who are both hooked. You are an inspiration to us all! Thank you again." Try the program for 4 weeks and just watch what your body can do when you combine your drive and determination with these 3 supremely-effective workouts. Together, they will form a POWERFUL ally and work to crank your body's metabolism into overdrive, blasting away the fat and leaving you shredded! Try This Turbulence Training Workout For The Next 60 Days With A No-Risk, 100% Money Back Guarantee! "Test drive" this Turbulence Training workout for the next 60 days with absolutely no risk so you can see for yourself how much fat you can lose or how much muscle you can gain. You are completely protected by our iron clad 100% money back guarantee on our fat burning workouts. You will not only be satisfied, I guarantee you will be thrilled and amazed with this Turbulence Training workout, or you can simply email me and ask for a prompt and courteous, no hassles, no questions asked, 100% refund. In fact, if you're not completely happy for any reason at all, then I insist that you ask for a refund. However, after seeing so many men and women transform their bodies while saving so much time by using this amazing fat burning program, I'm totally confident that you're going to love these fat loss workouts too and you'll start seeing the best results of your life. P.S. There is NO RISK at all for you to try Turbulence Training. If you aren't thrilled with the amount of belly fat you've lost and how hard you can work your abs at home with this Turbulence Training workout program in 60 days, let us know and we'll refund your order. 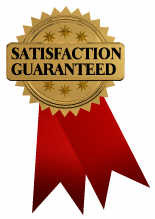 Your satisfaction is 100% guaranteed. Turbulence Training has already been trusted by the biggest fitness magazines in the world (Men's Health & Oxygen) for fat burning advice, and I guarantee it will work for you too! P.P.S. Grab your copy today, because I’m not sure how long I’m going to offer this workout at such a low price. After all, in the past, folks have paid up to $39.95 to get access to this program! format is adobe acrobat PDF, which can be viewed on Mac or PC.